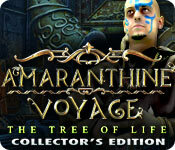 Amaranthine Voyage: The Tree of Life Collector's Edition is rated 4.0 out of 5 by 90. Rated 5 out of 5 by Eunice_PR from Where am I? Amaranthine is a great Voyage indeed. You get transported to a world where you hold the key to a society's success or demise. The visual imagery of the game is great – bright colors and soft blues and greens abound. I have the strategy guide but barely used it. During the game you get enough hints to help you along your objectives. The storyline is entertaining. 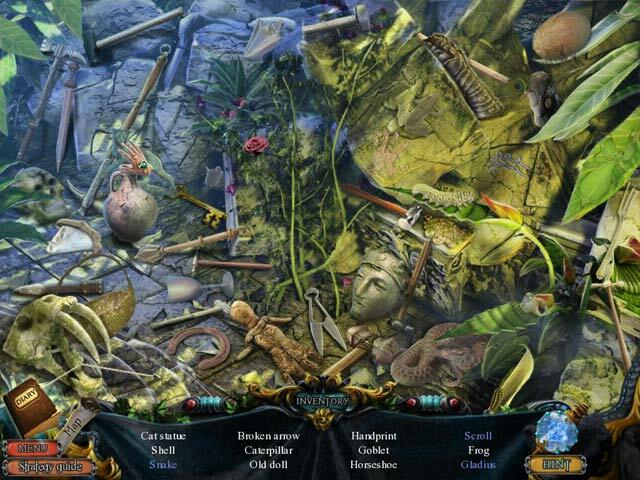 Hidden Object games are fun and puzzle games are great. 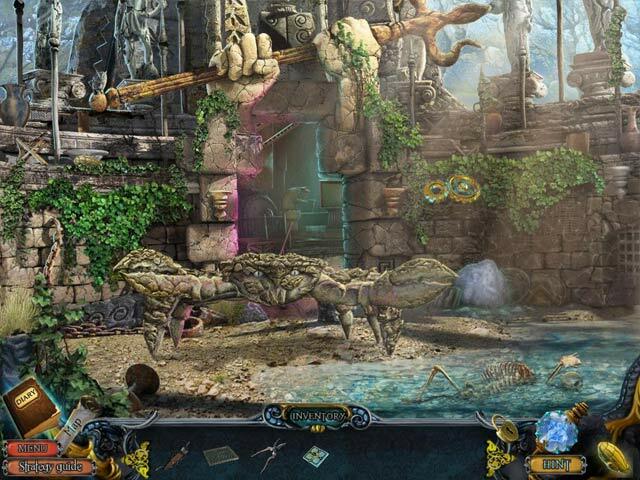 The game allows the player to complete various objectives at the same time, which makes playing even more interesting. Rated 5 out of 5 by Angelique1971 from Fun game, good CE I couldn't wait to play this game when I realized it was developed by the same people that did Final Cut: Death on the Silver Screen. Once again the graphics were well done but the VO's could have been better. HOS are clear and not overly cluttered. Puzzles aren't too difficult. You get to assemble and acquire a bow and special arrows to use throughout the game. Tip: Be sure to note the symbols at the end of videos. Although the map does not allow travel, it does indicate active objectives and tasks. The CE is well worth it to me. There are achievements, 40 Blimps and 14 Butterflies to collect. And, of course, there is a Bonus Chapter. I was not disappointed at all. Fun game. Rated 5 out of 5 by Wandakal1 from Looking for great graphis & a good challenge, this is for you! 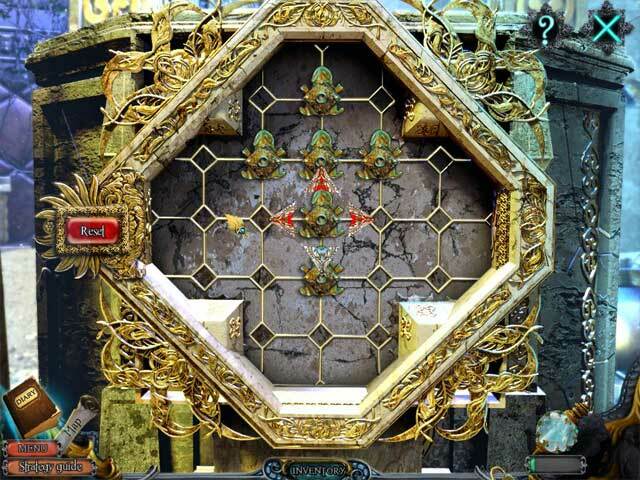 Ho's not difficult, and puzzles challenging while the graphics are eye candy. Bonus game worth extra. Rated 5 out of 5 by jbuffat from Amaranthine Voyage The Tree of Life The game was fun and well done! The only thing I did not understand was the olws. I clicked on all of them that I came across in the game, but nothing happened. Anyway, the game is worth it. I played it 2x. Rated 5 out of 5 by fairymother from Love It I only played the free trial and when I did, I just had to buy it! Can't wait for the rest and it would be nice to have more games like this. For a change a game that isn't gloomy. Rated 5 out of 5 by wvtopman1 from WOW !!! I purchased this during the President's Day Weekend Sale. Wonderful piece of work! The colors, puzzle mechanincs, transitions, sfx were all hats-off. Lots of stuff to do. The only thing missing is a zip-map to facilitate quick travel, but the map used here will get you through. I missed 1 blimp, but managed to snag the other 39 plus the 14 red butterflies. I watched the bonus "making of" and "pre Amanthine" videos. There was no sound for either. That's ok...I can get over that, but this should be addressed. I love this game! Rated 5 out of 5 by judeejuju from Superb! I beta tested this one and was looking forward to release. Super storyline, interesting HOs and puzzles and good exercise for the little grey cells on the adventure side. Bonus chapter also good and tied things up nicely! Definitely recommend.